An article from The Wall Street Journal states, “The average U.S. executive wastes six weeks per year searching for missing information in messy desks and files.” Organizing paperwork is essential for your business; especially when employees are spending more time looking for information when they could be doing something that generates revenue. 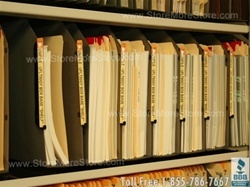 A quick and easy solution for organizing your paper filing system is to group items by category. And to implement this system, all you need is oblique hanging compartments. The first step is to decide on the categories you want to use. 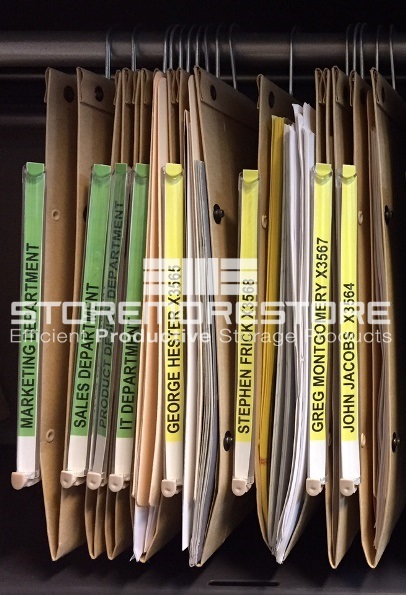 For example, a small business might want to categorize their filing system by department (ex. marketing, human resources, accounting). On the other hand, a law firm might choose to categorize paperwork by the cases they’re working on. 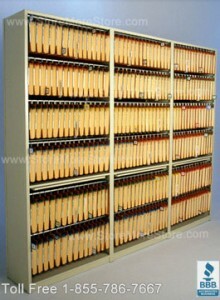 However you choose to categories your paper filing system, just make sure it’s consistent and easy to use. The next part is where the Oblique hanging compartments come in. Once you’ve got the categories decided, you can create the labels for the compartments. An added bonus to the Oblique system is the labels. You can create color coded labels (one color for each department) or you can use a standard white label. The labels are also magnified, which makes them easier to read from a distance. And because the hanging compartments are larger than a typical manila folder, they’re able to hold more and different types of items. 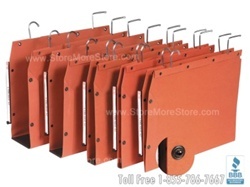 You can store papers, brochures, photographs, folders, and more within just one hanging compartment. And you won’t have to worry about tears or splits since the Oblique products are made out of ultra-strong material and weighted to hold 20-25 pounds. The last thing to do is put away your hanging compartments. 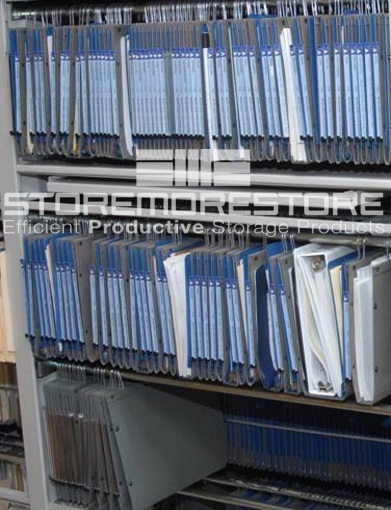 They can go anywhere from an overhead cubicle to lateral file cabinets, but they work best in open shelving. The reason is that the Oblique compartments are designed to maximize every inch of available space. And by using an open shelving storage system, you’ll save more space in your office. You’ll find all of our Oblique hanging compartments online at our store. And if you need assistance getting started setting up your paper filing system, it’s no problem! We will help. Just give us a call at 1-855-786-7667.